This is why it’s so important to take a moment to breathe properly. That might sound a little bit strange to you but please bear with me here. The great thing about deep breathing techniques is that they help you to unwind. Here are some very simple yet very effective breathing exercises that you will find to be a great help to you when stressed. 1. Deep Cleansing Breaths. A lot of people hyperventilate when they’re stressed. Doing this is not going to do you any favours, though. If you find yourself falling into this pattern, take a moment, and take a deep, cleansing breath. Once you’ve done this, try to get your breathing into a steady rhythm. During the course of the day, take deep breaths, if you begin to stress out. There are some things you can do to help facilitate this type of deep breathing. For example, you could lay down a blanket and pillow on the floor. Lay on your side or on your back, whichever is more comfortable. Prop your head up on the pillow and close your eyes for a minute. As you do, practice your deep breathing until you feel your thoughts begin to quiet. Slowly, elevate your shoulders, if it helps you breathe more clearly. 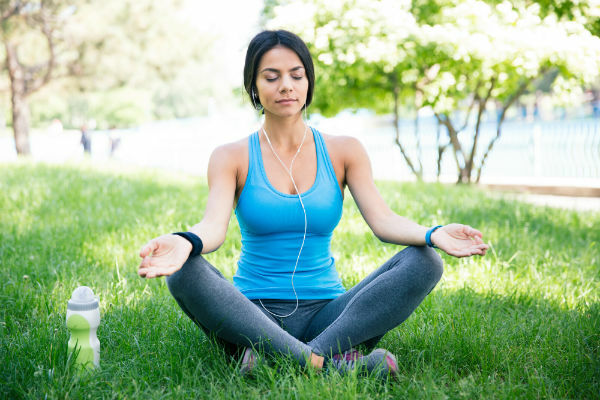 As a stress relief technique, deep breathing exercises help quiet your thoughts and help both your mind and your body become one. The important thing to remember, though, is not to let your mind race, as you worry about other things you need to do. A lot of people make this mistake and actually add to their stress, rather than alleviate it. 2. Always try to breathe in through your nose and exhale through your mouth. It’s healthier to breathe this way, because the air going through your air passageways is cleaner and more pure. 3. It may also help to envision something peaceful when you practice deep breathing techniques. For example you could envision a grassy meadow or the face of a loved one. This is reassuring and may actually take your mind off your problems. 4. Another stress relief breathing technique that may help is focusing on your breathing without being distracted by negative thoughts. This may help you quiet your thoughts. When you home in on your own breathing, your mind has something to focus on, other than the stressful situation. Listen to your breath. Does it rise and fall? Focus in on this. If you find that you’re breathing too quickly, slow down, and take long, sweeping breaths. Finding a quiet place away from other people also helps. 5. Being in large groups of people can be stressful and may make it difficult to truly relax. If you can, try to find a quiet place to unwind. You will notice that a calm feeling comes over you. If it helps, do some light stretching while you practice deep breathing techniques. Stretch your arms slowly above your head as you breathe in and out. Don’t neglect yourself. A lot of people get stressed when they have no time for themselves. A lot of people use the excuse that they have too much to do and don’t have time for themselves. This couldn’t be father from the truth. You can always make time, even if it’s just a few minutes, to focus on your own well being. Deep breathing can clear your mind of negative thoughts and actually give you the energy to focus on more important things. It will keep you from getting too stressed out by small things. These small things can turn into big problems when you build them up in your mind. If you’re looking for a sure-fire way to calm yourself when you’re under stress, you should consider deep breathing techniques, as they are very simple to do. You can practice deep breathing anywhere. Once you get started with these techniques, you will find them to be an effective way of coping with stress in your life. Use them! !